LikeFinland –team visited the North Karelia in August. We started exploring the Koli, which is primarily known from the Koli national park, established in 1991, and its stunning landscapes and nice hiking trails. We stayed at Break Sokos Hotel Koli hotel during our visit. The hotel room window opened to a beautiful view over Lake Pielinen and the front slopes of Koli. We decided to explore The Koli Relax Spa – pampering and landscape spa on the very first day. Each spa guest may choose a Lumene skincare set or a local non-alcoholic sparkling drink which was a nice surprise. Cold drinks at warm outdoor jacuzzi and a beautiful scenery over Lake Pielinen was a perfect combination. Both children and adults were smartly taken account at the Spa. Spa turned into a K-18 area after 4pm. At the Spa you can follow different Sauna Trails enjoying the various pools and saunas along the way. If you want to try all of them, it can easily take several hours. We enjoyed the Spa because of its lightness and closeness to the nature. Although the spa was small, there were many unique features, such as showers that stimulates all senses. 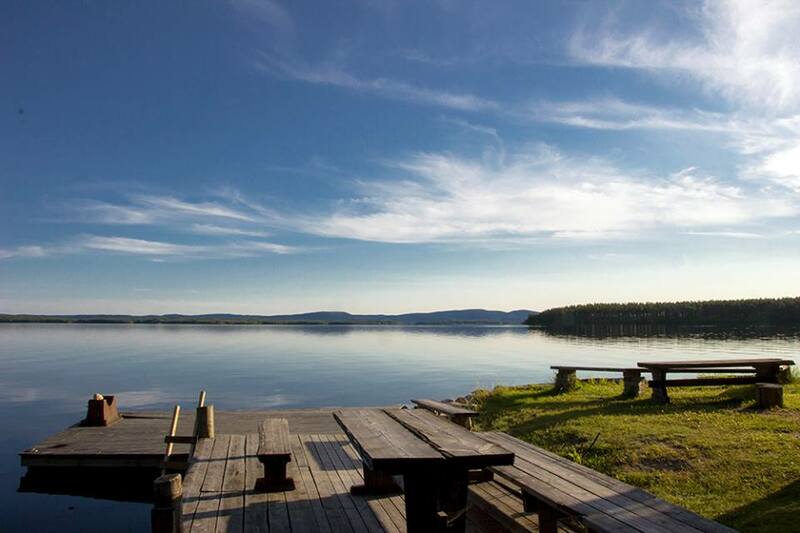 A stone's throw away from the hotel, right next to the Koli Nature Centre Ukko, leaves a marked 1.4 -kilometer-long scenic route towards the stunning scenery over Lake Pielinen. The route passes through the peaks of Koli and Ukko-Koli, Paha-Koli and Akka-Koli back to the starting point. You must be careful walking on the rocks with small children, especially after rain. Drops from the rocks are steep, but the marked path is wide and easy to walk. Breakfast was plentiful and tasty with fresh fruits, smoothies, and chocolate fountain - and of course with marshmallows. In the evening we went to the hotel restaurant Grill It. We had perch of Lake Pielinen and vendace of Lake Kallavesi. Ice cream dessert - Spruce and blueberry - was also from the nearby area, Outokumpu. Herranniemi offers a year-round accomodation in Vuonislahti village, which is located on the eastern shore of Lake Pielinen. In Vuonislahti you can enjoy the rural tranquility and ambiance. Friendly host couple, Erja and Tapio Nevalainen have been running the guesthouse for more than 20 years even in the forth generation. Herranniemi has served as a guesthouse already in the start of 19th century. Today Herranniemi is functioning as guesthouse with respect for the old traditions. According to Tapio, the guests enjoy the tranquility of Vuonislahti, in particular. In Herranniemi is the possibility of a wide variety of sauna experiences. A special feature in winter time is ice sauna. The walls of the ice sauna are made of ice , benches and a roof are made of wood . You can rent rowing boats and canoes , and occasionally tourists are exported to explore the lake by motor boat. In Vuonislahti Village you can also find a unique Paateri Chapel and a studio of famous wood sculptress Eva Ryynänen. Bomba is a diverse tourism centre on the shore of the beautiful Lake Pielinen, in Eastern Finland. At Bomba resort you will find all the services near each other. There are also many kinds of accommodation and restaurant services but also a lot of things to do and experience for people of all ages. The Bomba House is the heart of the resort and already a famous sight itself. 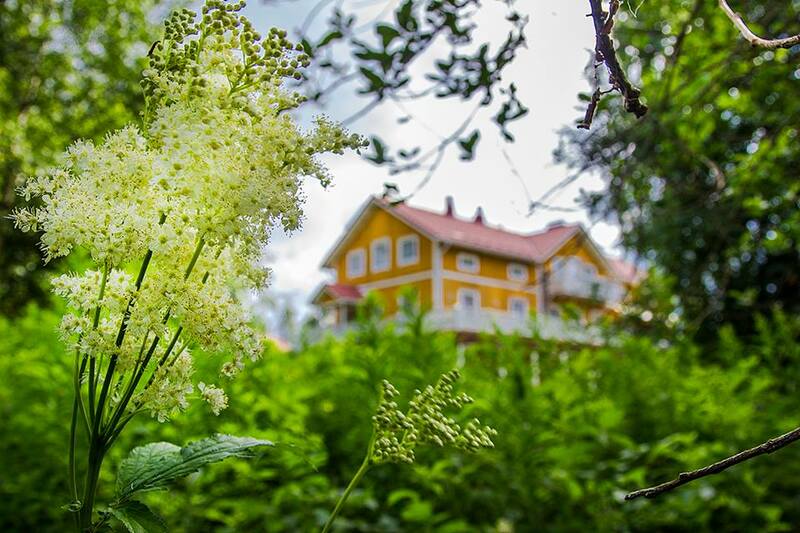 The Bomba House cherishes the Karelian architecture, culture and cuisine. The restaurant is known for Karelian delicacies made with love of local ingredients. 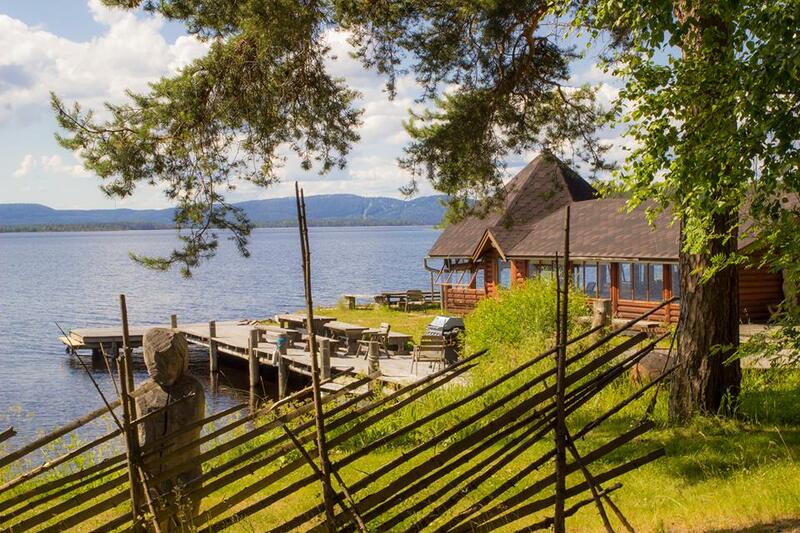 Around the Bomba House there are the Karelian village and other log buildings worth seeing. During our visit we enjoyed the Karelian delicacies and make a small walking tour around the Bomba area. We found a “path of silence” that took us to an orthodox chapel. It felt like we were somewhere than in Finland. Stone Village is of course also an exhibition area of Tulikivi products - fireplaces, stoves and stone, but it is only a small part of the village. At first we paid attention to the magnificent garden and park area of Tulikivi Stone village with bridges and fountains. In the area of The Stone Village, there was a soapstone museum and a path that took to the open pit mine of Tulikivi. In Tulikivi Stone Center, Geodata exhibition explains the origin of the stone and the history of its use, how the stone is used as a raw material, in buildings etc. The exhibition as a whole was really impressive. Children were interested in dark Lava cave, where they saw jewels, gold nuggets and a variety of colors glowing minerals. Tulikivi Stone Center is open during the summer season (for groups also in September). There is on sale dozens of different stones, local arts and crafts as well as soapstone products. The guesthouse is located on the main road 6 leading from Joensuu to Kajaani, in Valtimo counsil. The inn was built by Anita and Heikki Ovaskainen in 1990-1991 on the Paalajanvaara slope field. In 2012 their daughter Anni Korhonen took the managing responsibility of the Guest House. Puukarin Pysäkki is known for its pure food and the Karelian food tradition. The food that is served in Puukarin Pysäkki, is prepared making the most of the Karelian cooking traditions. They use organic ingredients and prefer home-grown products. Their values are based on respect for nature. During our visit, we stayed at a cosy Pihapirtti cabin. Cabin included mini-kitchen, private bathroom and shower. There were also a TV and free wi-fi. Puukarin Pysäkki is part of the The ECEAT - organic tourism network , which includes approx. 30 tourist facilities providing destinations for organic or other ecological destinations around Finland. Accommodation ranges from small camp sites to full board and from the simple to the luxurious - from the peace and quiet of a private cottage to active participation in everyday farm life. On many of the farms you are also welcome to buy organic products.